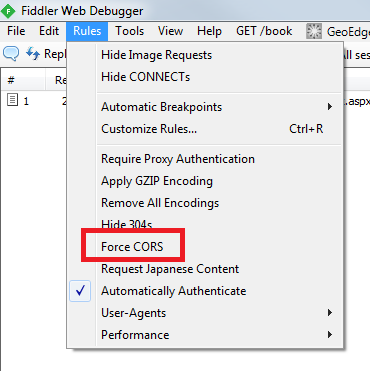 There is already nice article about Using Fiddler to force a web service to support CORS for debugging . However, it was written in 2013 and I am going here to little bit update the code for Fiddler v4.5.1.0. just at the beginning of class Handlers. After that save changes and you should see Force CORS option in the Fiddler menu. What font is rendered on my page?